A paradise of creative fairy fun. 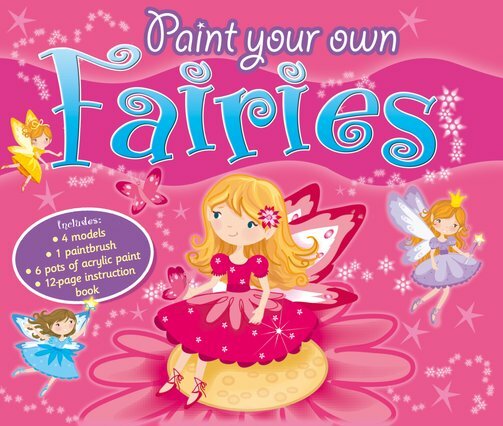 How pretty can you paint your magical new besties? Ever wanted fairies as playmates? Then you need this kit. Say hello to four charming fairy friends. The best bit of all? You get to paint them. Pick the perfect colours for their wings and frocks. You get six paints and a brush to help you. Nestling under flowers or perching on toadstools – how lovely can you make them look?